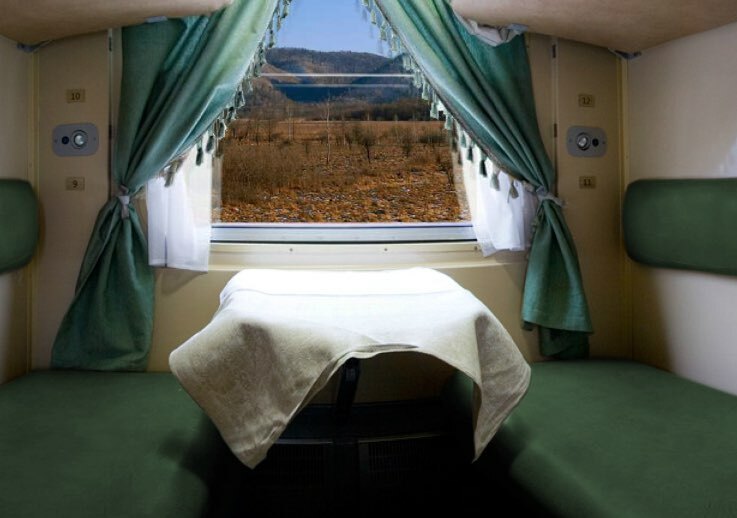 As I will show you, the tour can be done by private luxury trains (like on a cruise), with prices starting from 4,000 dollars per person, but the vast majority of tourists do it by using regular trains, as the cost is much lower. The Tsar’s Gold (“Gold of the Tsars”). 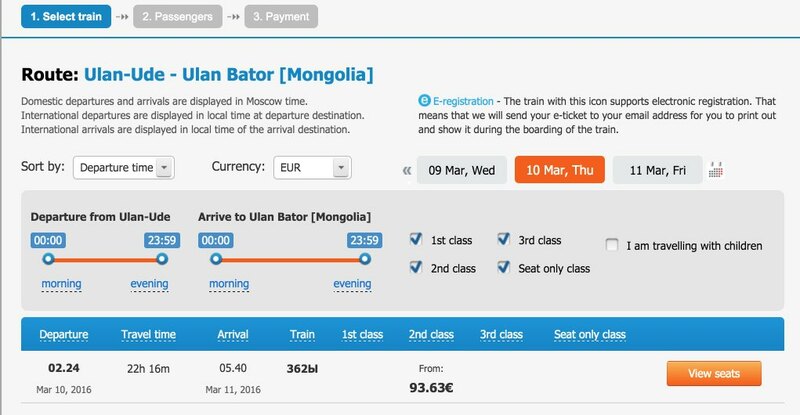 This is a train from German company Lernidee, which goes from Beijing to Moscow (and vice versa) for 16 days (in 2016, there are 5 times in each direction, scheduled between May and September). The prices start from 4,000 dollars. You can find more information on their website: https://www.lernidee.de. Imperial Russia. 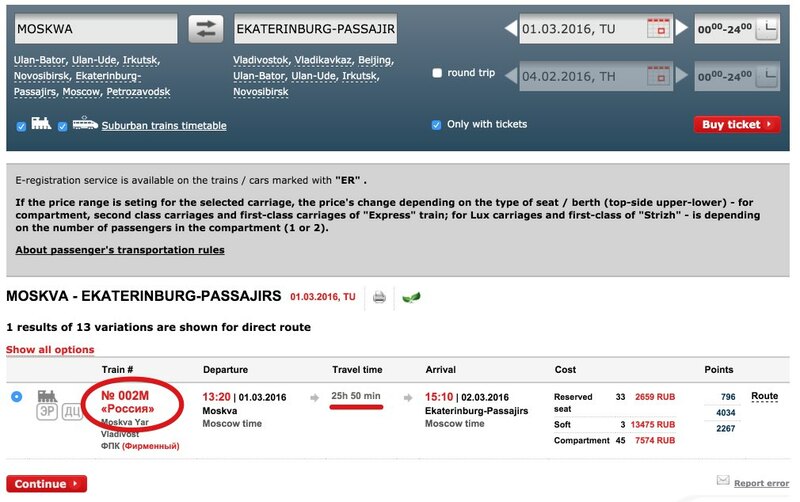 It is the newest train and it started offering trips in 2014. 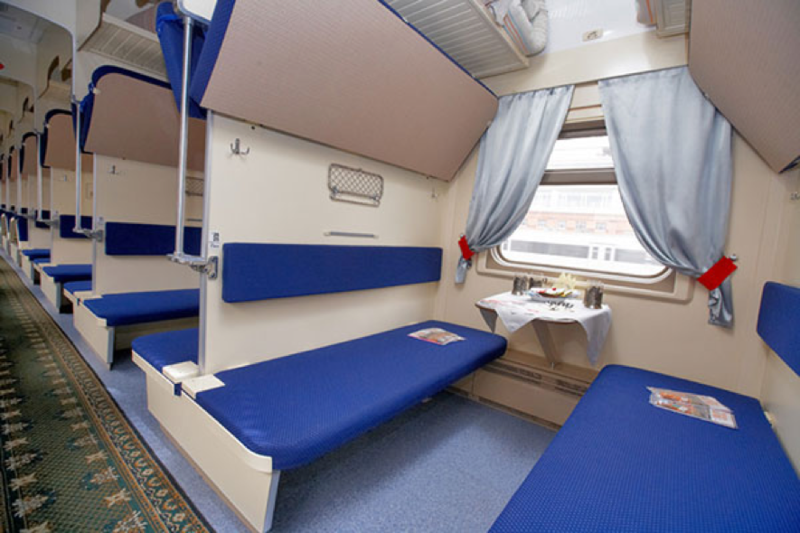 The trip on this train is organized by Russian Railways itself, through their travel agent RZD Tour Co. Ltd, established in 2005. 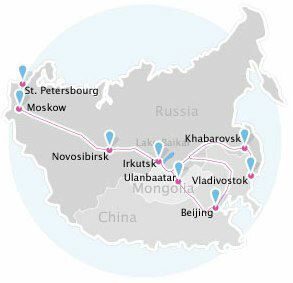 All information about routes and prices can be consulted on its website: http://rzdtour.com/en/routes/transsib/. During 2016, Imperial Russia makes several trips during the months of July, August and September, with prices starting from 4,000 dollars. 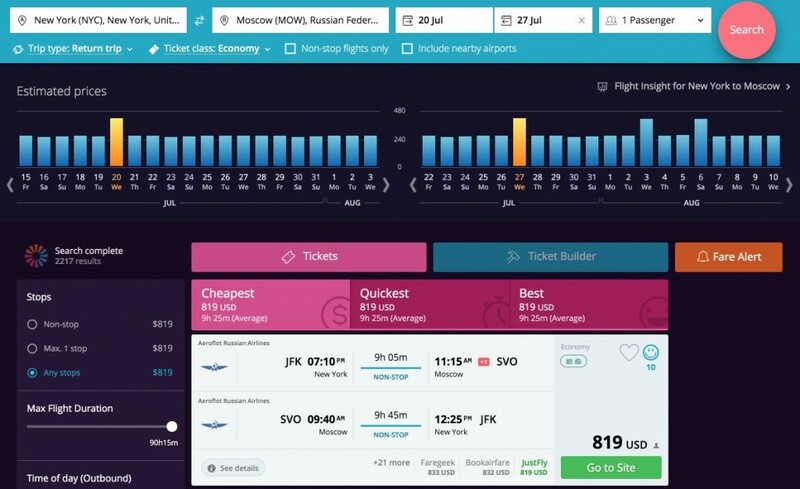 Russian Visa. 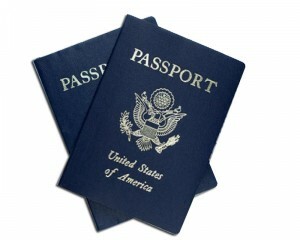 Russian visa proceedings are explained in detail in this article: How to obtain a Russian Visa in the USA or Canada in an easy and cost-effective way. Note: it is not necessary to put in the invitation letter all the cities for which you are going through, but it is important to indicate the main cities where you are staying. 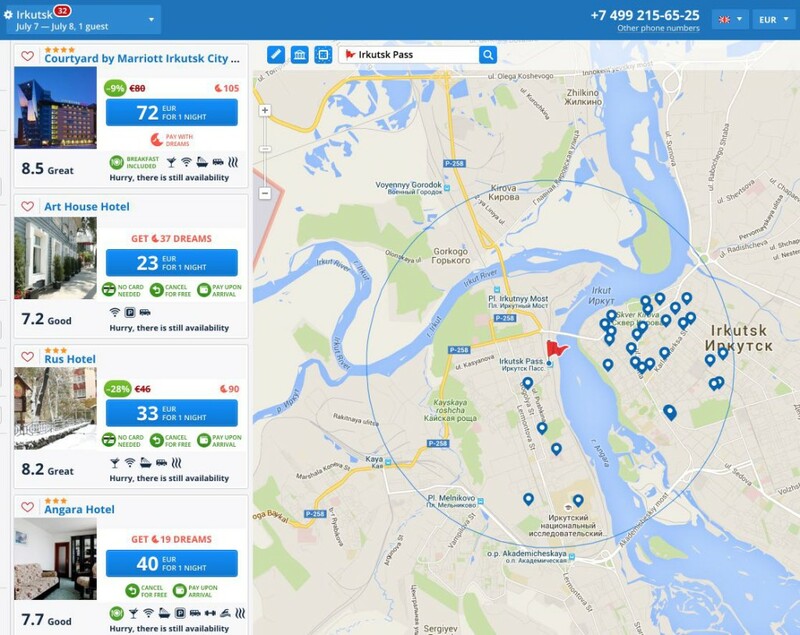 iVisa form allows you to put up to 10 cities and HotelsPro up to 5 cities. 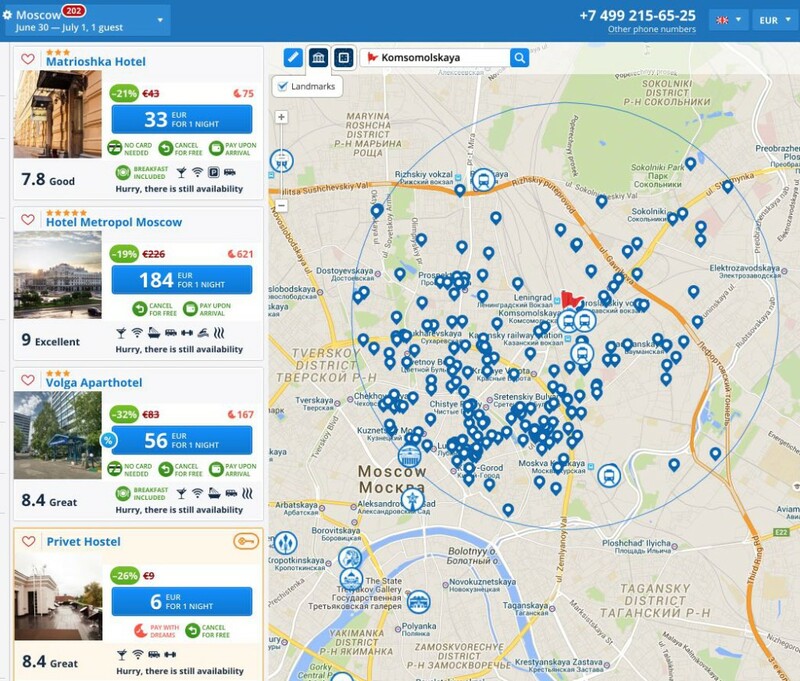 The choice of hotel in Moscow will depend on your budget. 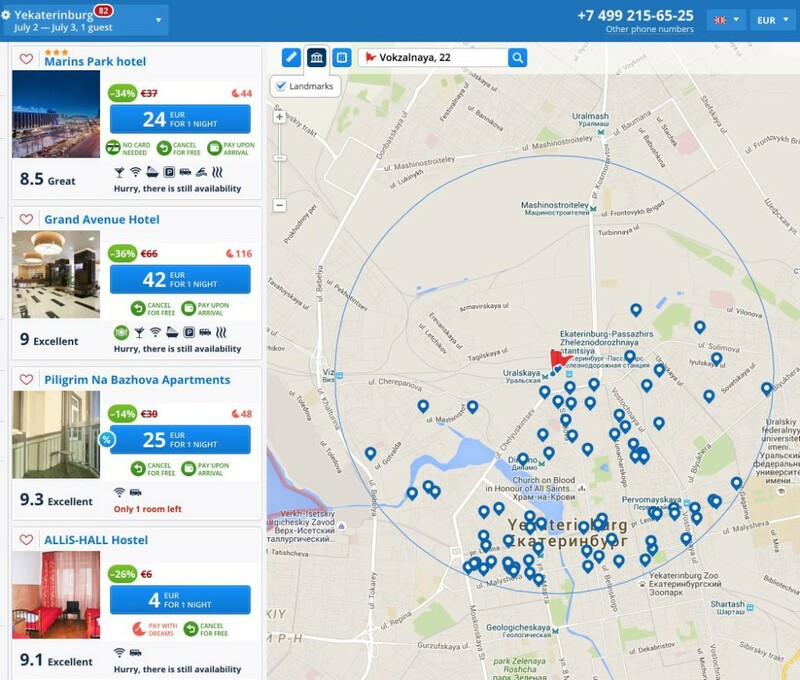 As you can see in the screenshot below (the Yaroslavsky station is the red flag), there are great accommodation offers, ranging from 6 dollars a night in a hostel, to 184 dollars for a 5 stars hotel. 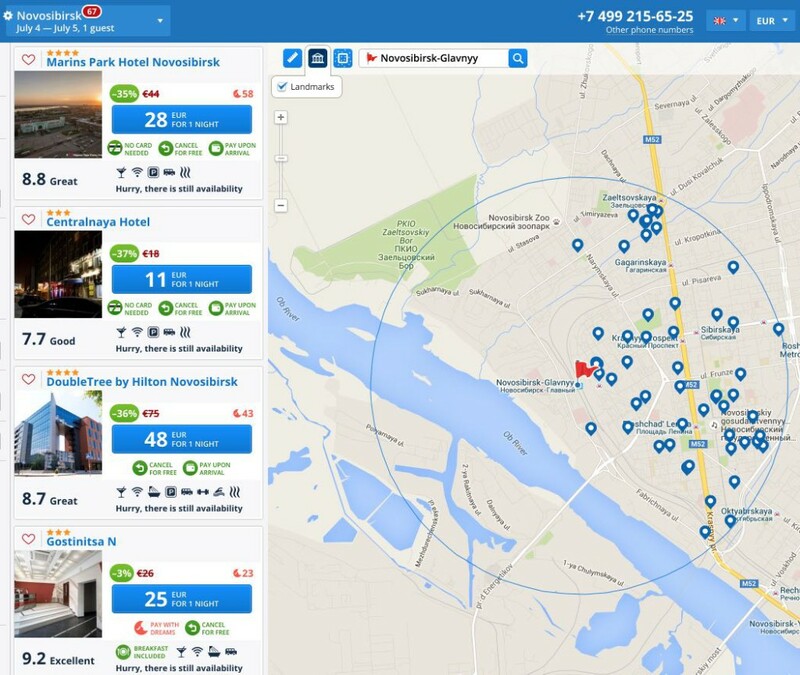 The Yekaterinburg railway station (officially called Ekaterinburg-Passazhirsky) is located at the north part of the city (the red flag in the screenshot) but it’s quite centric. Accommodations are quite economic (from 4 dollars a night in a hostel, to 24 dollars per night in a three-star hotel). The Novosibirsk-Glavnyy station is situated at the West part of the city, but it’s centric too. A 3-star hotel can cost 11 dollars a night per person. Serve black Russian tea (1-2 dollars). 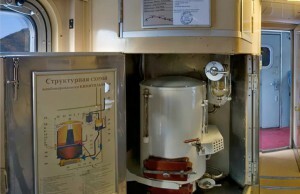 The Trans-Siberian has a dining wagon. Meals are paid in cash. Prices are more expensive than if you eat in a typical restaurant (a complete meal can cost about 15 dollars). 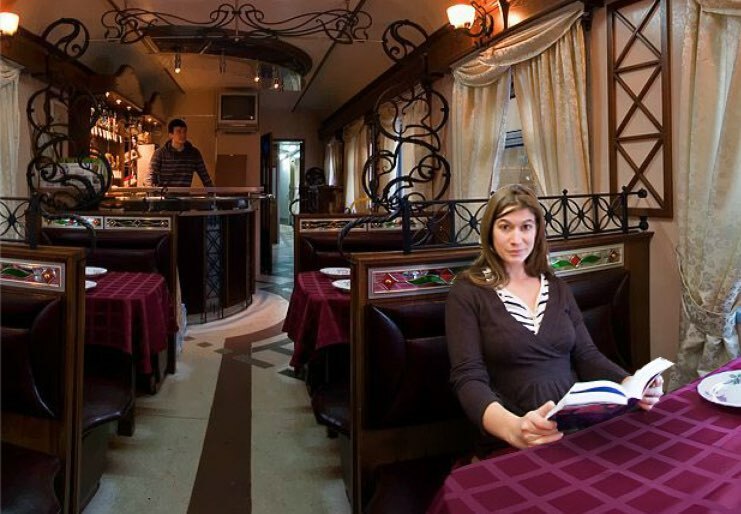 You can eat in the dining wagon or you can bring your own food that you purchased at any supermarket, or on the street markets that are found on each train stop.